I mixed a 70 minute live internet broadcast to over 10,000 Disturbed fans in 08. It was a fantastic show and I had a great time mixing their performance. 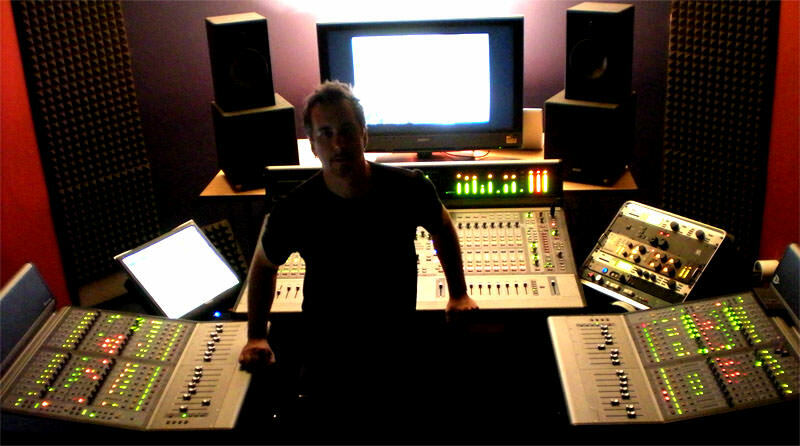 Compared to record mixing, live mixing is very fast and intense. I’ve mixed over 4,000 live venue shows in my early years and over 100 live hd broadcast concerts, including studio recording and mixing for 25 years. Disturbed liked the mix very much and published the 2track live board audio I was feeding the hd video decks. 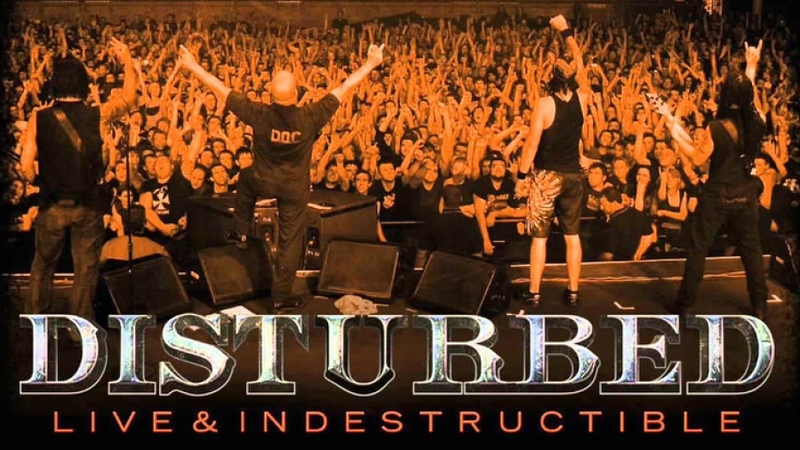 They released an EP titled “DISTURBED Live & Indestructible” There are two EP versions. But I was very happy to learn they used my on the fly broadcast audio and did not remix the show. That was my broadcast mix studio below. “Live and Indestructible” is a 100% live board mix recording with no post mixing. I spent a bit over 2 hours with the sound-check audio, which was only a 60 second multitrack recording I grabbed at the super crazy short sound check. I mixed on a Digidesign Venue D-show console with premium plugins. I’ll tell ya, I don’t know of too many bands at their level that have the juevos to publish in the raw like that. They simply rock and don’t need to hide behind any post sweetening if they don’t want to. I believe there are two version of ‘Live & Indestructible’ at Deep Rock Drive. The first version had four songs which sounded over limited. The 3 song version sounded better. I’m not completely sure if there are different mastered versions flying around but this happens sometimes and the record companies will correct things without notice. Thank you, to the band and Skitch for trusting me with their sound and broadcast. It was great fun working with such a great band and dedicated crew. Best of luck guys. Cheers.